Established in the first reigning year of Yourou (A.D.617). This well-established and veteran inn's founder was also the ancestor of Kinosaki Onsen's founder. 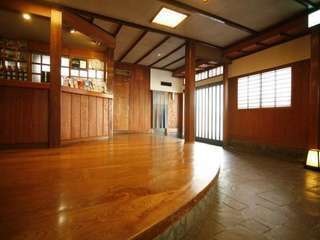 A charm of this inn is that three of the seven famous Kinosaki open-air hot springs are all within a 3 minute walk. The inn's purely unique Japanese wooden structural physique adds a defining visual attraction to the house lined street it sits on. All guest rooms are designed after traditional Japanese tea-ceremony rooms, giving a sense of refined charm to the rooms. The menu changes monthly, using carefully selected fresh ingredients to create the perfect cuisines for our guests. The menu is changed every month. **Plan details** -Dinner: Please enjoy the original cuisine only in this season and area. * The menu is changed every month. We announce you the menu from "Information from Ryokan" -Breakfast: We use a variety of local Tajima ingredients. Tofu, Japanese omelet, Sliced konjac, Locally fried fish, Japanese selected dishes, Vegetable salad, Miso soup, Rice, Pickled vegetables. * The menu is subject to change. * Take your time and relax at Koman in our traditional Japanese rooms. * Our ryokan is very close to Mandara-Yu. Goshono-Yu and Kouno-Yu are 3 minutes away on foot. We will provide you with a free pass so please feel free to use the public hot springs as many times as you wish. 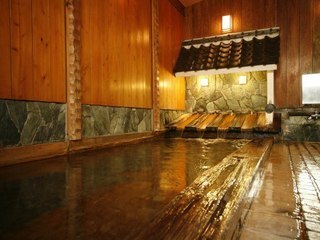 (hot spring tax JPY 150). * All rooms include restrooms and hair dryers. * Free parking is available. An example of breakfast. Breakfast and dinner are served in your room. 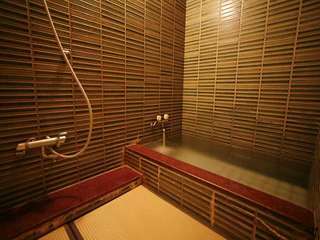 Amenities for both men and women are provided in our ryokan's large hot spring baths. Private hot spring baths can be reserved for free. *7~12 year old children of guests not staying over night: Children's lunches are the same price as the adults, but for smaller children a kids lunch can be purchased for JPY 1,260. *-Check-in is from 3:00p.m. Guests should check-in no later than 6:00p.m. so that they may have a more relaxing time. Guests arriving later than 6:00p.m. should notify the inn as soon as possible and inform them of your new estimated time of arrival. A hot spring admission fee for each adult guest per night is charged extra (JPY150). *Different cancellation fees incur for large groups of 15 or more.